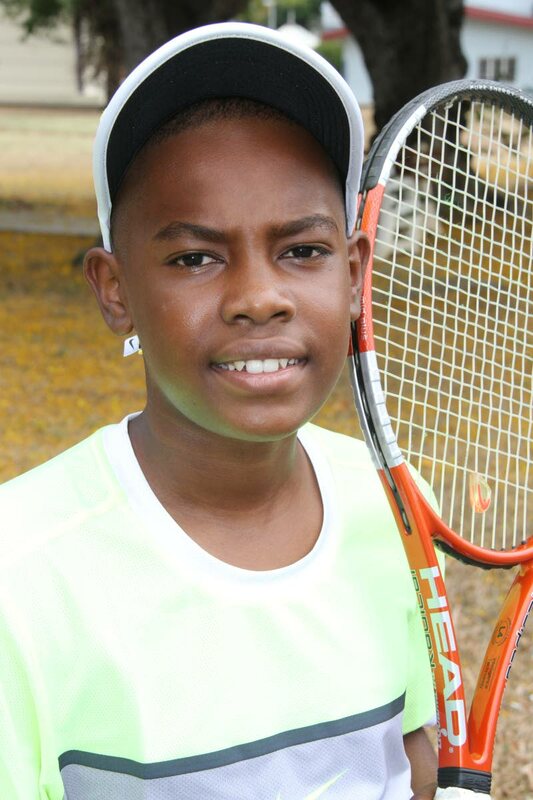 SAQIV WILLIAMS, the top seed in Group One of the boys 14-and-under singles, notched an easy victory over Luca Denoon in the Catch National Junior Championships, at the National Racquet Centre, Tacarigua yesterday. Williams defeated Denoon 4-0, 4-2. In Group Two, Jamal Alexis hammered Neil Maraj 4-0, 4-0 while in Group Three, Luca Shamsi blanked James Hadden 4-0, 4-0. Nicholas Ready whipped Zechariah Permell 4-0, 4-2 in Group Four and Sebastien Byng had a walkover win over Samir Alli in Group Five. In other boys 14-and-under singles matches yesterday, Nathen Martin needed three sets to overcome Beckham Sylvester 2-4, 4-1, 4-1 in Group Six duel, but Jace Quashie eased past Tim Pasea 4-2, 4-0 in a Group Seven meeting. Action in the Catch National Junior Championships will continue today. Boys Under-10 singles – Round Robin – Group 1 – Live Khan bt Nirav Dougdeen 4-0, 3-4, 4-0; Group 3 – Connor Carrington bt Zain Xavi Modikhan 4-0, 4-0; Group 4 – Josiah Hills bt Omar Thomas 4-0, 4-0. Girls Under-10 singles – Round Robin – Group 2 – Zahra Shamsi bt Karissa Mohammed 4-0, 4-0; Makeda Bain bt Eden Phillip 4-0, 4-1; Group 3 – Shiloh Walker bt Naiomi Mohammed 4-0, 4-0. Boys Under-10 doubles – First Round – Josiah Hills/Jaysean Wells bt Gabriel Denoon/Omar Thomas 4-1, 4-2. Girls Under-10 doubles – First Round – Zahra Shamsi/Shiloh Walker bt Eden Phillip/Karissa Mohammed 4-0, 4-0. Girls Under-12 singles – Round Robin – Group 1 – Jordane Dookie bt Rayna Hayling 4-0, 4-0; Group 2 – Jaeda-Lee Daniel-Joseph bt Eva Pasea 4-0, 4-0; Maria Badouille bt Neila Maraj 2-4, 4-1, 10-6; Group 3 – Inara Chin Lee bt Briana Harricharan 4-3, 4-1. Boys Under-12 singles – Round Robin – Group 1 – Kale Dalla Costa bt Isaiah Juba 4-0, 4-0; Group 2 – Zachery Byng bt Joshua Medina by walkover; Group 3 – James Hadden bt Jayden Mitchell 4-3, 4-0; Group 4 – Alexander Merry bt Daniel Rahaman 4-0, 4-0; Group 5 – Callum Koylass bt Yohance Solomon 4-1, 4-1; Keyondre Duke bt Jurrell Johnson 4-0, 4-1; Group 6 – Messiah Permell bt Isaiah Boxill 3-4, 4-3, 4-3; Deron Dumas bt Jordell Chapman 4-1, 4-0; Group 7 – Jordell Chapman bt Daniel Dumas 4-1, 4-0; Lucas Small bt Joel Jeffrey 4-0, 4-1; Group 8 – Logan Hamel-Smith bt Aasir Elder 5-4, 4-2. Girls Under-14 singles – Round Robin – Group 2 – Charlotte Ready bt Siebhan Salvary 4-0, 4-0; Group 3 – Cameron Wong bt Zara Ghuran by walkover; Group 4 – Jaeda-Lee Daniel-Joseph bt Jordane Dookie 3-5, 4-0, 4-0. Boys Under-12 doubles – First Round – Yeshowah Smith/Aaron Subero bt Joel Jeffrey/Josh Low 6-3, 4-6, 10-4; Neil Maraj/Yohance Solomon bt Jurrell Johnson/Isaiah Juba 6-1, 6-2; Jordell Chapman/Keyonde Duke bt Bjorn Hall/Lucas Small 6-1, 6-2; Quarter Finals – Jayden Mitchell/Messiah Permell bt Neil Maraj/Yohance Solomon 6-3, 6-1; Isaiah Boxill/Callum Koylass bt Jordell Chapman/Keyonde Duke 6-1, 6-4; Rizwaan Mohammed/Alexander Merry bt Deron Dumas/Aasir Elder 6-0, 6-3. Girls Under-12 doubles – First Round – Abigail Chin Lee/Inara Chin Lee bt Rayna Hayling/Neila Maraj 6-1, 6-0; Brianna Harricharan/Eva Pasea bt Maria Badouille/Faith Phillip 4-2, 4-0. Boys Under-14 doubles – Quarter Finals – Jamal Alexis/Saqiv Williams bt Samir Alli/Tristan Ramsaroop by walkover; Daniel Jeary/Jace Quashie bt Nicholas Ready/Beckham Sylvester 6-4, 6-3; Jaylon Chapman/Nathen Martin bt Luca Denoon/Zechariah Permell 6-0, 6-2; Sebastien Byng/Zachery Byng bt Tyler Hart/Tim Pasea 6-3, 6-3. Reply to "Williams defeats Denoon in Catch junior tennis"